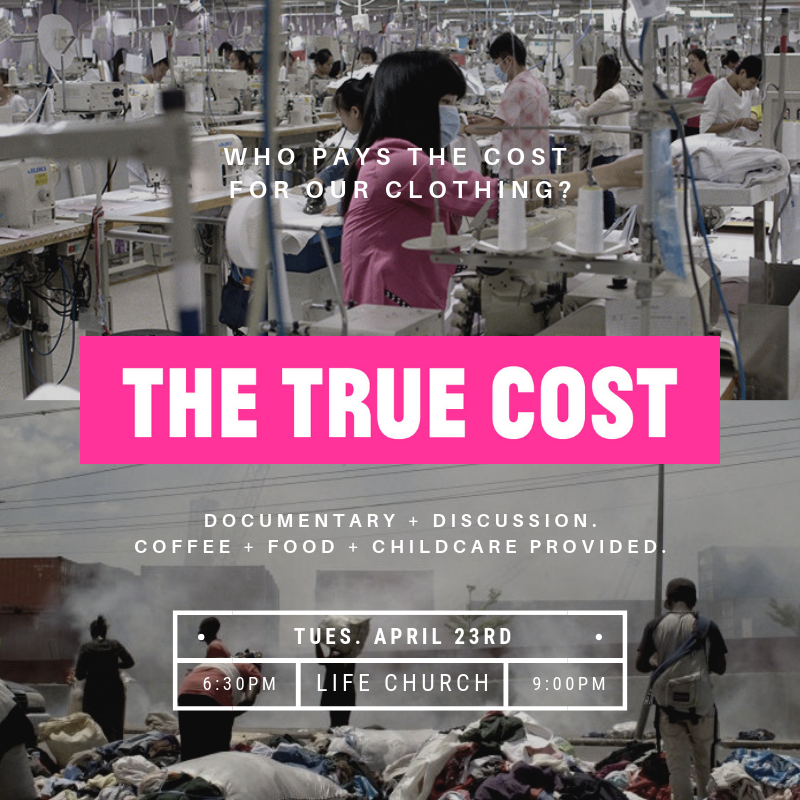 We invite you to join us during Fashion Revolution Week 2019 for a powerful night of learning about the impact our clothes is having on our planet and people and looking for ways we can do this better. Refreshments| We will have coffee and snacks provided. Childcare| We will have FREE childcare for the evening. Just DM us to get your kids on the list! Conversation| After the film screening, we will host space in small groups for you to process and discuss what you have learned.